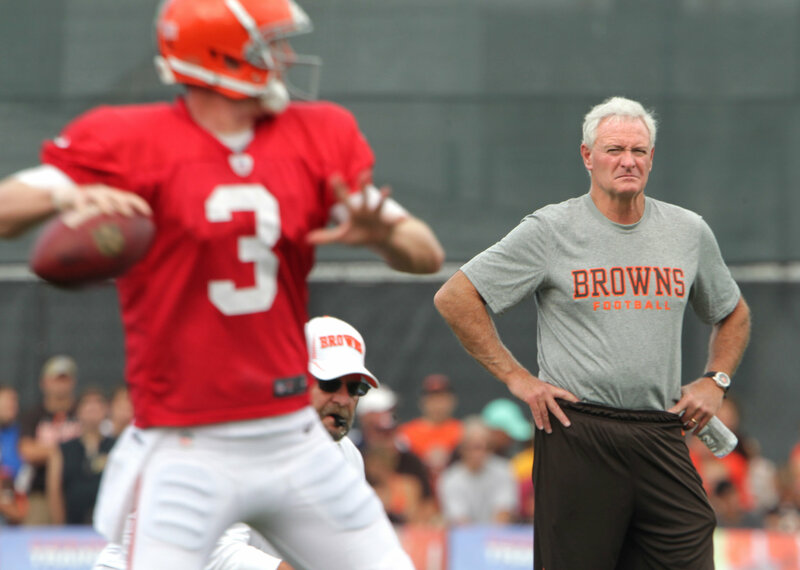 James Haslam III – incoming owner of the Cleveland Browns – stepped down from his position Tuesday as CEO of Pilot Flying J, the company his father built into a nationwide series of truck stops. Haslam, who has been CEO of the company since 1994, will now take on the role of chairman, with PepsiCo President John Compton taking over as Pilot’s CEO, according to knoxvillebiz.com. And in newsrooms and on bar stools all across Cleveland, people started reading the tea leaves because this has to mean SOMETHING. Perhaps Haslam is out shopping for bubble wrap and duct tape to help team president Mike Holmgren pack up, as people have been insisting for weeks now that Holmgren is packing up his office, even as we speak. Or he could be shadowing coach Pat Shurmur, attending every meeting and press conference with Shurmur. Reports after Sunday’s game had Haslam sitting in the back of the room during Shurmur’s press conference, perfecting the knot on a noose (we may have made that last part up). Or maybe he’s doing what we’ve been told he would do all along – listen, observe and learn about the Browns operation in particular and the NFL in general. The last thing he needs to do is start making changes just to mollify the hoople heads. We’ve had enough of that over the years from this team. As fans, shouldn’t that be what we want?